Before Web Services: Sharing of information depends on who you are working with and software must be written accordingly, leading up to software being rewritten many times. After Web Services: Sharing of information is more flexible and follows the write code once, reuse multiple times. A Web directory is a listing of Web sites organized in a hierarchy or interconnected list of categories. Main focus: Remote Procedure Calls (RPC) transported via HTTP. XML Web services programmers do not need to know the details of the platform or language used to implement the service; the only requirement is that the programmer be able to formulate requests and process responses using the correct protocol and message structure defined in WDSL. 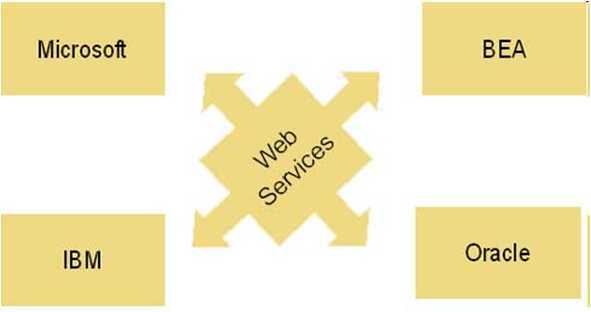 definitions: the name of the web service; namespaces used throughout the remainder of the document; service elements. types: a container for data type definitions used by the web service. message: the data elements of an operation. portType: a set of operations supported by one or more endpoints. binding: the protocol and data formats for the operations and messages defined for a particular port type. service: the address for invoking the web service. 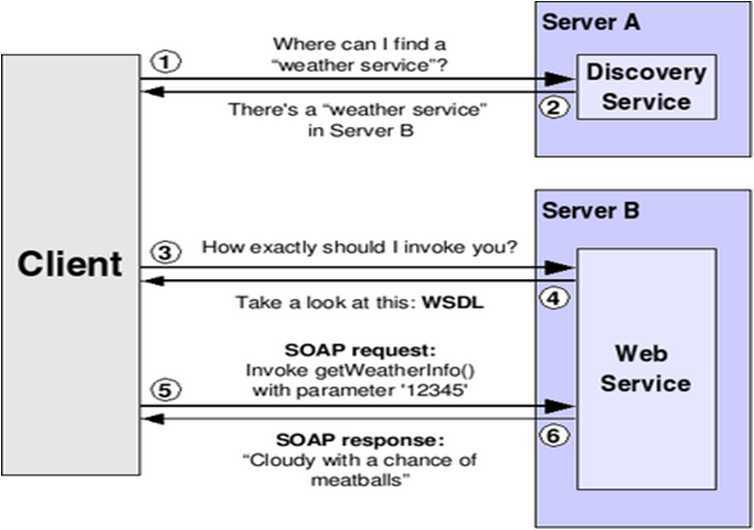 SOAP is the most important Web service access protocol because it handles more complex structures like DataSets, arrays, custom types, and XML files. In .NET, The SOAP operation is being taken care through a Web service proxy created the wsdl.exe utility or Visual Studio. Whenever the client makes a call to a web service function, the proxy generates an HTTP request and sends it to the server. When the response in XML is received, the proxy parses and returns the results. 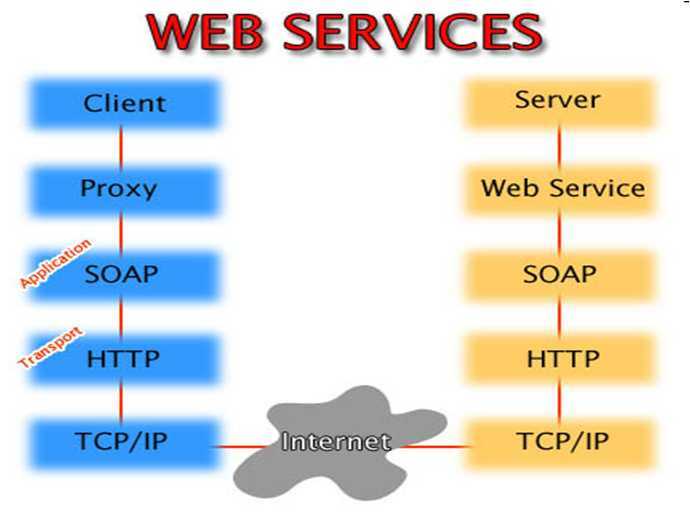 XML web services use XML messages that follow the SOAP standard and have been popular with the traditional enterprises. In such systems, there is often a machine-readable description of the operations offered by the service written in the WSDL. A Web API is a development in Web services where emphasis has been moving to simpler representational state transfer (REST) based communications. RESTful APIs do not require XML-based web service protocols (SOAP and WSDL) to support their light-weight interfaces.